How did we not see this coming? Earlier this year Has-Lo remixed Castle's Return of the Gasface, tagging on his namesake as The Has-Lo Passages. Unlike most remix records, Has-Lo and Castle worked collaboratively on the project, re-recording verses, and ensuring that alterations were approved by all parties involved. It seems a bond was formed in the process, a Philly to North Carolina connection, with the announcement of a Has-Lo and Castle collaborative album entitled Live Like You're Dead. On the first single, “Go To Work”, Has and Castle anoint themselves Employees of the Year, which might seem premature six months into the calendar, but with The Has-Lo Passages in their wake it's not an unmerited claim. With a no-days-off mentality, the two rappers offer insight into the work ethic required to do it on their visionary level, which involves no looking back, planting seeds, and mixing blood and sweat with the ink in the pens that write the rhymes. 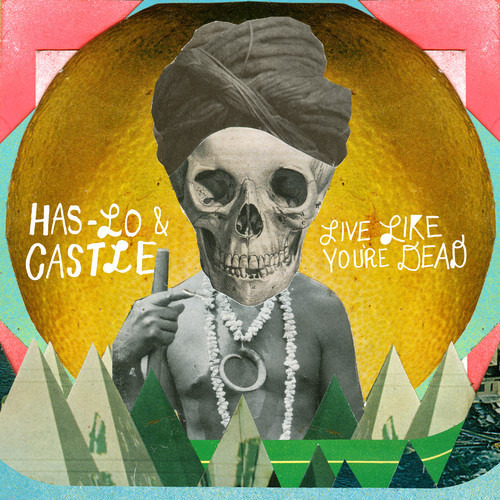 Has-Lo & Castle's Live Like You're Dead is out July 29 on Mello Music Group.